Post Layouts for Gutenberg is here, our new Gutenberg add-on available as free for everyone! Make sure your posts showcase have some unique style for the Gutenberg website. There are a number of Gutenberg plugins are coming in these days. WordPress (especially Gutenberg) developers are publishing a bunch of blocks in single WordPress plugin. Luckily, we are the first one and we noticed that there is a huge requirement to design and create a block that showcases blog posts in a loop where designs are different and a user can change it anytime via a single click. Post Layouts for Gutenberg is a Gutenberg add-on with a bunch of additional style for post layouts that contains unique templates for presentation. This is a standalone Gutenberg solution to give wow design possibility for your blog posts with clean design and fully responsive layout. 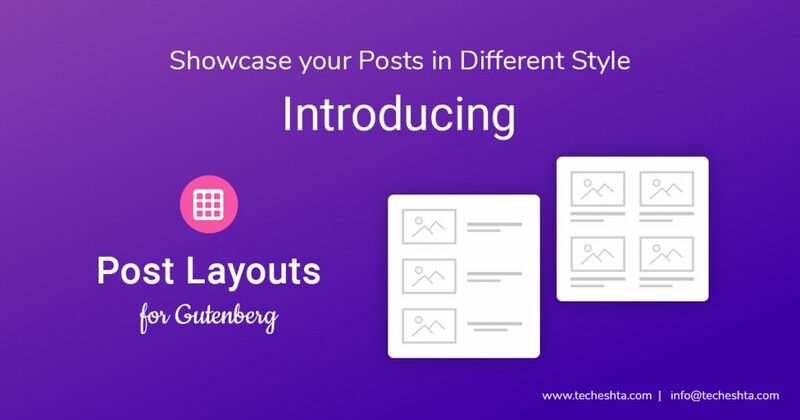 Here is a step by step guide to starting your journey with the new Post Layouts plugin. Install & Activate the Post Layouts plugin from Admin > Plugins. Click on ‘+‘ sign and type keyword Post to get our Post Layouts block from the list. 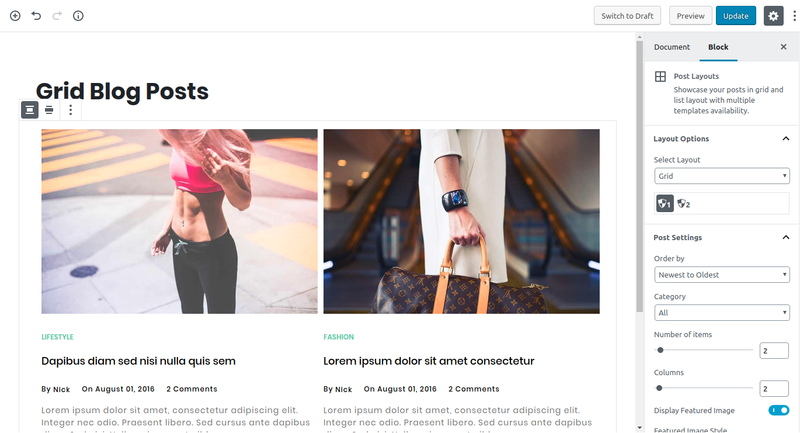 Post Layouts for Gutenberg helps you to deliver good blog post designs to your clients without worry. The post layouts with different templates and structure of the plugin are well managed by the original developers, so you can just deliver a good solution. Looking for more layouts and templates? Our development team already started working on a premium version of this free plugin and that will avaialble ASAP for everyone and you can break the limitations with more features. Looking for more assistance with Post Layouts for Gutenberg? and if we missed any feature or you have some good designs in mind that haven’t implemented then, let us know in the comment section or via the Contact Us – page. We’re happy to serve you!